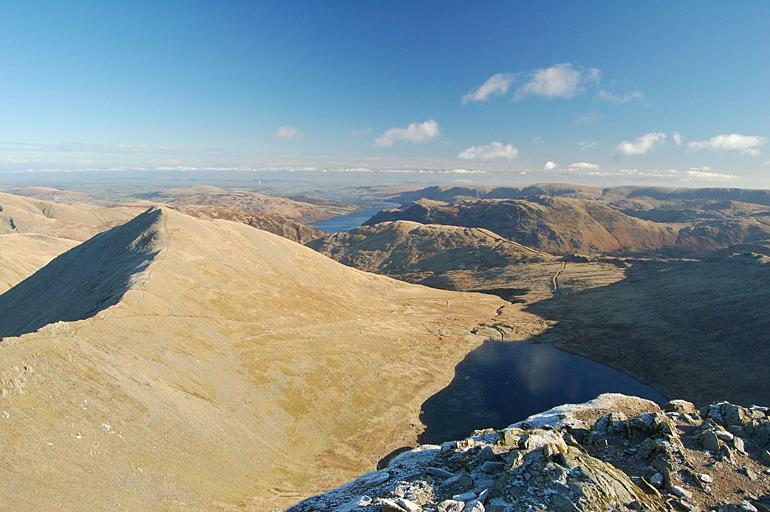 Ullswater can be seen in the centre distance and Red Tarn in shadow bottom right. Catstye Cam is clear to see on the left and in the middle to far distance are Birkhouse Moor with the Birk Fell section of Place Fell behind it. Arthur's Pike, by Ullswater, is beyond and the High Street range continues to the right with Loadpot Hill then on towards Wether Hill. Smaller version of this picture.